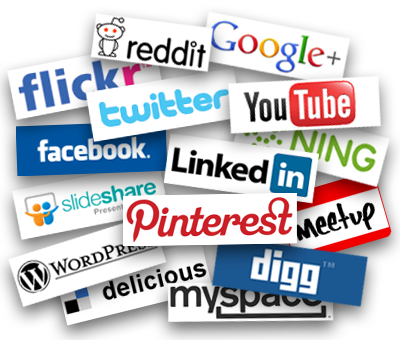 Finding Social Media That Is Right For You? I usually need more than 140 characters to express myself, so I guess that rules out Twitter? I don’t constantly take enough pictures to really warrant an Instagram account. I quite like Pinterest, but haven’t really taken the time to pin very much. I don’t really understand the point of Snap Chat, but I do have a Facebook account. Oh yes! The wonderful world of Facebook! I’m not sure how it works within other forms of social media, but my Facebook newsfeed seems to be a very happy place. Soooo many people seemingly living full, joyful social lives? So while social media is an easy target to take a swipe at, I’ll resist the temptation to jab because the fact is it’s here to stay and the impact is undisputable. Although it’s fair to say that I never quite felt the subtle seduction of having as many social media presences as possible. As hard as it is to believe there is still a significant proportion of the population whose lives are unaffected by social media, or those who once really committed to the cause but ended their social media relationships with a swift divorce. It was difficult for me to find an online forum where I could flex the muscles of my thoughts a little more, because I wanted to swim within a broader depth of the human experience and that’s where blogging seemed to answer my call. However, I always assumed that the source of inspiration would come from my oddball life experience or skewered perspective, but what I didn’t anticipate were the hidden gems of inspiration from actual bloggers themselves! I didn’t anticipate just how much enjoyment I would receive from reading people’s very real human experiences. A chorus of unique, individual, funny, thoughtful, considered voices. Bloggers who sing freely about their passions, frustrations, inspirations, hopes, failures and successes. You also have the blog; Let’s Talk About the L word, who somehow reminds me that I actually have emotions! And sooooooo many more that I have not mentioned but I follow, and the joy is I get to discover new bloggers every day, so I guess what I am saying is; I think it is important to find a form of online interaction that is tailored to your personality. Blogging seems to fit me because unlike other online forums people aren’t afraid to touch on the truth of their human experience, as opposed to a superficial glean. Unfortunately, unlike some of my fellow bloggers, I do not write as fluidly as I would like. I only explore this realm when I have something I want to get off my dysfunctional mind; in the hopes that I can somehow transfer thoughts knocking around inside my head into fairly articulate, coherent content. It may perhaps inspire thought (not that I necessarily want you to agree with me) or at the very least have some mild entertainment value with no spelling mistakes or grammatical errors. I would like to thank all WordPress bloggers both known and yet to be discovered for generously inspiring this message! Next Next post: Happy With The Result? No Not Really! I’m glad you found something that works for you. I try to keep a light presence across most of social media, but I’m finding that blogging is a better home for me as well.